Polypipe is the UK’s largest plastic pipe systems manufacturer with an enviable reputation amongst installers, contractors, stockists and specifiers. With an unrivalled portfolio of above ground and below ground drainage, storm/surface water management and plumbing systems, Polypipe Middle East is a market-leading expert of managing water in the built environment. From innovative drainage systems for the world’s tallest buildings to the preservation and management of the region’s stormwater, Polypipe design, manufacture and supply durable solutions that help sustain the future development of the Middle East. Our versatile range of trusted products, coupled with our impressive local manufacturing capabilities and state-of-the-art technical centre, allows us to supply some of the region’s highest-profile projects with intelligently engineered, holistic water management solutions to help build resilient cities across the Middle East. With extensive experience working closely with major regional municipalities, global clients, consultants and contractors, our expert team provide unparalleled technical support and specialist knowledge to help customers meet the needs of their project, as well as the industry. 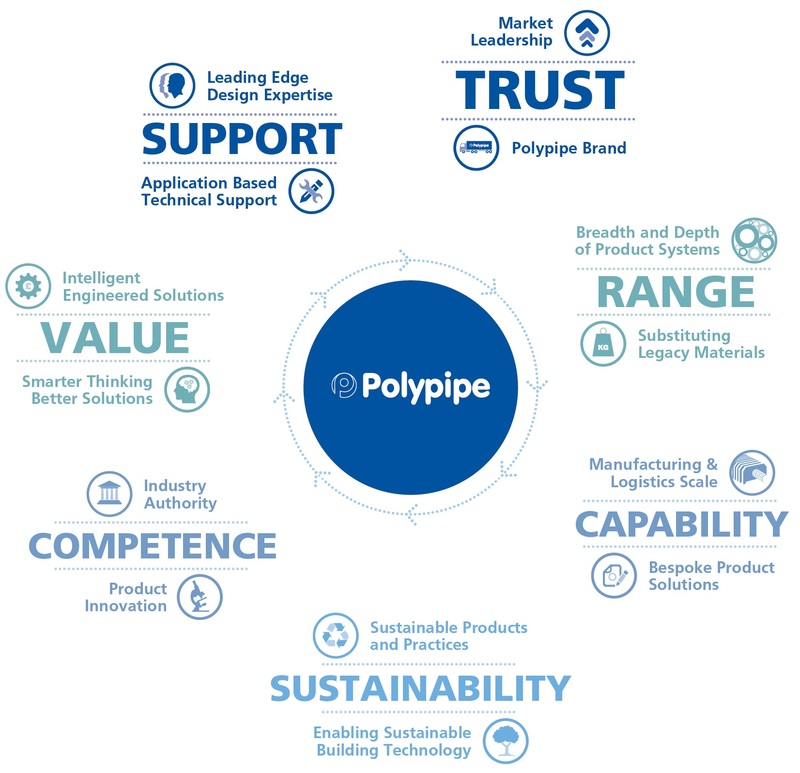 Polypipe is equally one of Europe's largest and most innovative manufacturers of plastic piping systems, with an extensive history and success in overseas markets, including the Middle East. Our regional head office in Dubai, United Arab Emirates, was established in Jebel Ali to provide a dedicated local focus for the region, responsible for the complete range of Polypipe water management, plumbing, pressure, drainage and rainwater systems as part of our extensive portfolio. Polypipe also have offices in Qatar and India, enabling our team of technical experts to work closely with contractors, consultants and local municipalities to ensure our systems are safe, durable and comply with all regulations. With strong local business partnerships and a specific understanding of regional practices, requirements, cultures and regulations, Polypipe is ideally placed to offer pioneering, yet proven innovative water management systems and solutions that meet the particular needs of the Middle East environment and rapidly growing urban infrastructure. The new Polypipe Technical Centre in Dubai is at the heart of our training excellence philosophy, providing hands-on working water management displays, installation workshops, and system design training. We also provide complete conference facilities for planning, legislation and technical presentations. The resources available will help your own staff understand key local challenges, relative to the Middle East and Indian construction markets, importantly complying with the latest regulations to stay ahead of fast changing developments and the future of sustainable urban city and green infrastructure requirements. Polypipe is the UK's largest plastic piping systems manufacturer, employing over 2,000 people. We design, manufacture and deliver the UK's broadest range of innovative products, 100 systems in all, and our products convey everything from water and air to chemicals and telecoms, as well as providing sewage and heating solutions.